Hi Stephen. Can I ask you which electrician you used to help with the Loxone installation? I am about to undertake a renovation on a house that is only a couple of miles from you and I want to get Loxone put in, mainly for lighting. 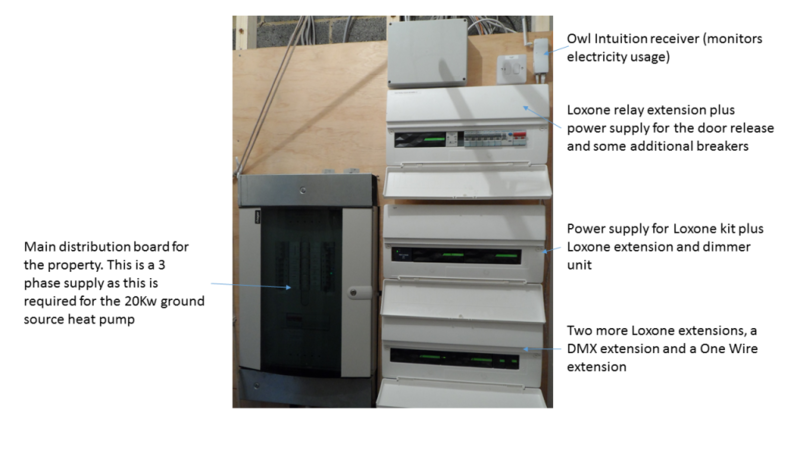 I can do the programming, but an electrician who knows about Loxone, to help with the circuit wiring would be useful. Any contacts you have gratefully received. Thanks. PS – your blog is really good and lots of great info. Have a chat with Lee Garvey at Ashway Smart Homes (http://www.ashwaysmarthomes.co.uk/). They are pretty local. They installed all of the cabling and then did the cable terminations for me. There weren’t many Loxone installations around at the time we did our renovation, so we did spend some time working out the best way of doing things. I spend some time just experimenting with the Loxone kit on a workbench to make sure that I knew how it all worked before installing in the house for real. Personally, I believe that doing your own programming is the way to go. We are still tweaking the configuration of ours. If you need anything else, just drop me an email.